PWI (Pro Wrestling Illustrated) Most Hated Wrestler of the Year (1977). PWI (Pro Wrestling Illustrated) Most Hated Wrestler of the Year (1981). Ken Patera grew up in Portland, Oregon and became a world class power-lifter. 1971: Ken Patera won four gold medals in power-lifting at the Pan American games. 1972: Ken Patera represented the United States of American in the Summer Olympics. Ken Patera trained with Verne Gagne in Minneapolis and made his professional wrestling debut in 1973. 1977: Ken Patera participated in several World’s Strongest Man competitions which are often shown on ESPN or TSN even today. 1977: Ken Patera challenged WWWF World Champion, Bruno Sammartino, at Madison Square Garden in New York. January 25, 1978: Dusty Rhodes defeated Ken Patera in the semi-main event at the Orange Bowl in Florida. 1978: Ken Patera defeated Wahoo McDaniel to capture the Mid-Atlantic heavyweight title. Ken Patera dropped and recaptured the Mid-Atlantic heavyweight title during a feud with Tony Atlas. 1978: Ken Patera challenged WWWF World Champion, Bob Backlund, on several live events. 1979: Ken Patera teamed with Big John Studd to capture the Mid-Atlantic tag team titles. April 1980: Ken Patera defeated Pat Patterson to capture the WWF Intercontinental title. April 1980: Ken Patera defeated Kevin von Erich for the NWA Missouri title four days later. Ken Patera held both titles for six months, splitting his time between the two promotions. 1980: Bob Backlund defeated Ken Patera in a “Texas Death Match” to retain the WWWF World title. 1981: Ken Patera defeated Tommy Rich and Jack Brisco to capture the Georgia and Missouri titles. 1981: Ken Patera won his second Pro Wrestling Illustrated “Most Hated Wrestler” award. 1982: Ken Patera returned to the American Wrestling Association to be managed by Bobby Heenan. 1983: Ken Patera jumped to Adnan Al-Kaissey’s stable and formed a tag team with Jerry Blackwell called The Sheiks. Ken Patera and Jerry Blackwell defeated The High Flyers (Greg Gagne and Jim Brunzell) for the AWA World tag team titles. Ken Patera soon returned to the WWF and formed an alliance with Bobby “The Brain” Heenan and Big John Studd. Ken Patera and Big John Studd were involved in the infamous hair-cutting incident with the legendary Andre the Giant. April 6, 1984: Ken Patera and Mr. Saito threw a 30 pound boulder through the window of a McDonald’s in Waukesha, Wisconsin. ~~~Later that night, Ken Patera and Mr. Saito brawled with several police officers who were sent to arrest them. ~~~Sixteen months later, they were found guilty of battery on a police officer and sentenced to 2 years in prison. Andre The Giant first disposed of Ken Patera, easily beating him in an epic Madison Square Garden grudge match. 1985: Ken Patera was fired from the WWF after he was sentenced to two years in prison. 1987: Ken Patera changed his life for the better and returned to the World Wrestling Federation – as a babyface. May 2, 1987 – Saturday Night Main Event: Hulk Hogan and Ken Patera defeated The Heenan Family (Andre The Giant and Hercules) in a dark match. May 16, 1987 – Superstars: Ken Patera defeated Hercules by disqualification. May 15-17, 1987 – House Show: Ken Patera defeated The Honky Tonk Man. May 23, 1987 – Superstars: Ken Patera defeated The Gladiator. May 30, 1987 – House Show: Ken Patera defeated Killer Khan. June 6, 1987 – Superstars: Ken Patera defeated Jimmy Jack Funk. June 21, 1987 – Wrestling Challenge: Ken Patera defeated Rick Renslow. June 27, 1987 – Superstars: Ken Patera defeated Frankie Lane. July 11, 1987 – Superstars: Ken Patera defeated Iron Mike Sharpe. July 25-26, 1987 – House Show: Ken Patera defeated Paul Orndorff. July 26, 1987 – Wrestling Challenge: Ken Patera defeated Al Navarro. August 1, 1987 – Superstars: Ken Patera defeated Terry Gibbs. August 22, 1987 – Superstars: Ken Patera defeated Tom Stone. October 24, 1987 – House Show: Ken Patera defeated Boris Zhukov. November 7, 1987 – Superstars: Billy Jack Haynes and Ken Patera defeated Ray Miller and Terry Gibbs. November 15, 1987 – Wrestling Challenge: Billy Jack Haynes and Ken Patera defeated Dave Wagner and Gino Carabello. November 26, 1987 – Survivor Series: Andre The Giant, Butch Reed, King Kong Bundy, Rick Rude and The One Man Gang defeated Bam Bam Bigelow, Don Muraco, Hulk Hogan, Ken Patera and Paul Orndorff in a tag team elimination match. November 29, 1987 – Wrestling Challenge: Billy Jack Haynes and Ken Patera defeated Dave Wagner and Rick Renslow. January 23, 1988 – Superstars: Billy Jack Haynes and Ken Patera defeated Iron Mike Sharpe and Joe Mirto. February 13, 1988 – House Show: Ken Patera, The Crusher and The Junkyard Dog defeated Demolition (Ax & Smash) and Mr. Fuji. February 15, 1988 – House Show: Ken Patera and The Junkyard Dog defeated Los Conquistadores (Conquistador Dos and Conquistador Uno). February 27, 1988 – House Show: Ken Patera defeated Smash. March 12, 1988 – Saturday Night Main Event: The One Man Gang defeated Ken Patera. March 19, 1988 – Superstars: Ken Patera defeated Tom Stone in a dark match. March 27, 1988 – WrestleMania IV: Ken Patera was in the battle royal won by Bad News Brown. April 3, 1988 – Wrestling Challenge: Ken Patera defeated Jose Luis Rivera. April 30, 1988 – Superstars: Ken Patera defeated Scott Colontonio in a dark match. May 21, 1988 – Superstars: Ken Patera defeated Dino Bravo by disqualification in a dark match. June 11, 1988 – Superstars: Ken Patera defeated Larry Sampson. June 18, 1988 – Superstars: Ken Patera defeated Steve Lombardi in a dark match. June 19, 1988 – Wrestling Challenge: Ken Patera defeated Iron Mike Sharpe. July 30, 1988 – Superstars: Ken Patera defeated Tom Stone in a dark match. July 31, 1988 – Wrestling Challenge: Ken Patera defeated Chris Curtis. August 29, 1988 – SummerSlam: Bad News Brown defeated Ken Patera. September 17, 1988 – Superstars: Ken Patera defeated Bob Emory. September 25, 1988 – Wrestling Challenge: Ken Patera defeated Chris Duffy. October 16, 1988 – King of The Ring: Ken Patera defeated Nikolai Volkoff in the 1st round. Ted DiBiase defeated Ken Patera in the quarter-finals. November 13, 1988 – Wrestling Challenge: Rick Rude defeated Ken Patera in a dark match. December 3, 1988 – Superstars: Ron Bass defeated Ken Patera in a dark match. Ken Patera began a mid-card feud with The Heenan Family and occasionally teamed with Billy Jack Haynes. Ken Patera suffered an arm injury and was out of action for five months, and returned to very little success. 1989: Ken Patera returned to the AWA again, to form a tag team with fellow Olympian Brad Rheingans as The Olympians. March 25, 1989: The Olympians defeated Badd Company (Pat Tanaka and Paul Diamond) for the AWA World tag team titles. Ken Patera and Brad Rheingans vacated the AWA World Tag team titles when Patera was “injured” by the Destruction Crew. Ken Patera then went into semi-retirement working off and on in various independent promotions across the U.S.A..
Ken Patera will be remembered as one of the most effective heels in the history of professional wrestling. April 1, 1989 – WCW: Steven Regal defeated Ken Patera to retain the world heavyweight title. April 13, 22, 1989 – AWA: Larry Zbyszko defeated Ken Patera to retain the world heavyweight title. May 20, 1989 – AWA: Ken Patera and Tommy Jammer defeated The Badd Company (Pat Tanaka and Paul Diamond). 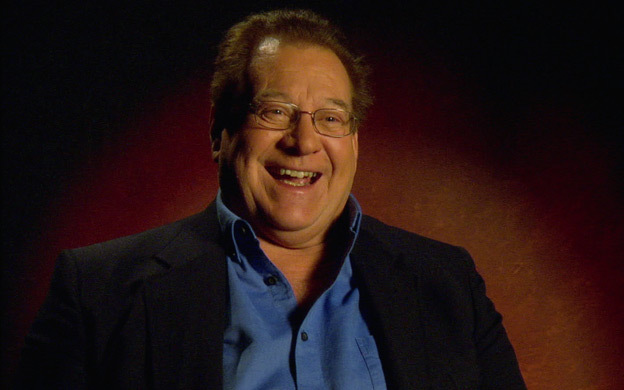 May 21, 1989 – TWWF: Ken Patera defeated The Cheetah Kid. October 29, 1989 – AWA: Ken Patera defeated Nikolai Volkoff. May 3, 1991 – TWWF: Ken Patera defeated Samu. December 21, 1991 – CWA: Rambo defeated Ken Patera to retain the world heavyweight title. July 24, 1993 – WOW: Baron von Raschke and Ken Patera defeated Chris Markoff and Sheik Adnan Al-Kassie. May 11, 1996 – WCW: Ken Patera defeated Blackjack Bennett. May 31, 1997 – PWA: Ken Patera defeated Wayne Bloom. March 14, 1998 – NSWA: King Kong Bundy defeated Ken Patera. 2002: A band called “The Swinging Neckbreakers” claim to have taken then name from watching Ken Patera wrestle when they were growing up. September 15, 2007 – South-Eastern Championship Wrestling: Ken Patera defeated Mr. America..
May 3, 2008 – National Wrestling Superstars: Chris Mordetzky defeated Lamar Braxton Porter (Ken Patera was referee). August 12, 2011 – JCW: Bob Backlund defeated Ken Patera.